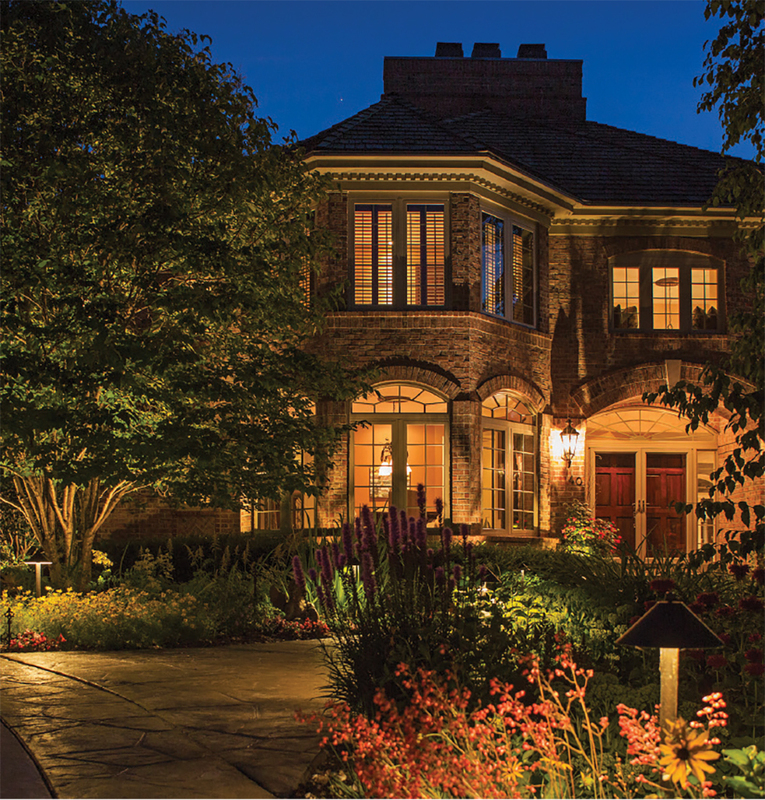 It seems like common sense, but outdoor lighting isn’t as common as it should be, says lighting pro Scott Erickson, owner of Erickson Outdoor Lighting in Mound. It’s an art and an often overlooked home investment. When it’s well designed, lighting not only adds aesthetic value to your landscape, it also improves the safety and security of your home. Erickson suggests adding up- and down-lights to focus attention on roof peaks, gables, and soffits; using lights to highlight features such as sculptures, fountains, or plantings; placing moonlights high in trees to imitate the shadows cast by the real thing; and installing deck, patio, and pool lighting to make the most of the outdoor entertaining season. In addition to creating beautiful ambiance, outdoor lighting can also prevent accidents and create a sense of security for homeowners. Light fixtures embedded into the grass, and path and step lights can help guide unsure feet through the yard to the house. Exterior lighting can also be paired with security cameras to and operated with a smartphone app. You wouldn’t forget to put lights inside your house; give the same love to the outside. Find out more about Erickson Outdoor Lighting.